I associated this female with a male I collected one night later. For a great and informative discussion of all Epeorus species and other mayflies be sure and read, WESTERN MAYFLY HATCHES by R. Hafele and D. Hughes. They rate all of the western mayflies and they rate the hatch of this genus a 25 out of a possible 45 points based on several rating criterion. They provide insect photos, possible fly patterns and fly presentations. This is a great book. 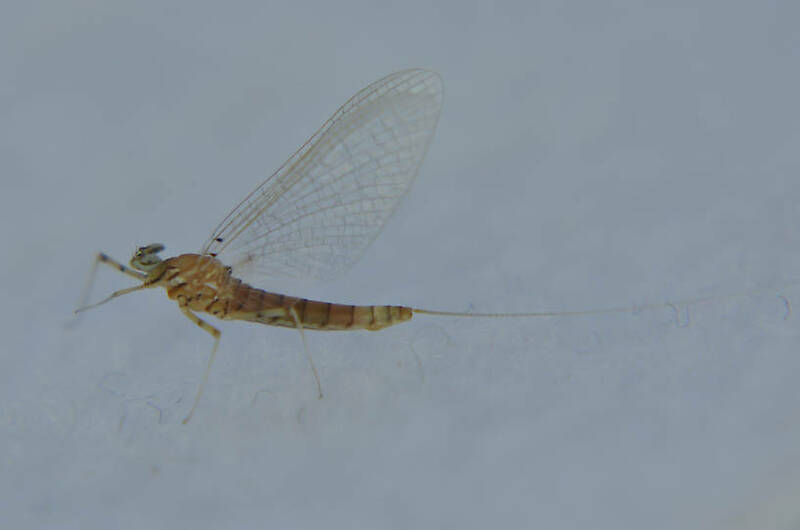 This mayfly was collected from the Touchet River on July 24th, 2011 and added to Troutnut.com on July 25th, 2011.